Oracle Siebel CRM is the base application behind Oracle’s Siebel CTMS. 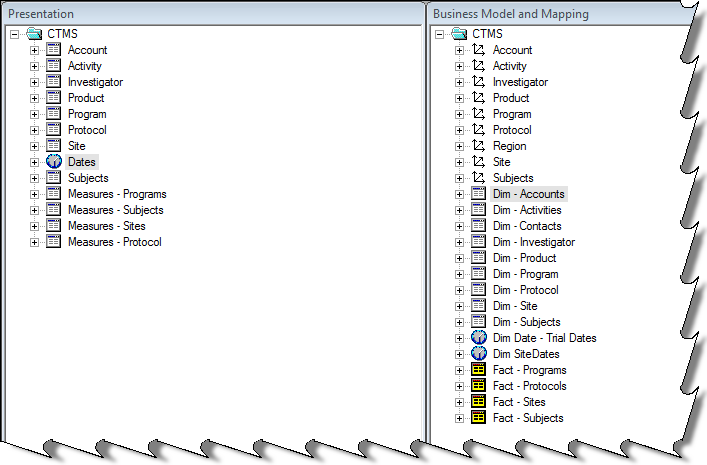 Without CDA an OBIEE architect needs to understand CRM data model and also the actual business process flow of a CTMS application.It is observed that usually there is a customization to an extent of 25% on the CRM application. slipping the time lines. It is recommended to plan for regular client reviews and approvals of every build to avoid any gaps in the expectations by the client . At a high level the reporting requirements may include tracking budget and finance, clinical trials, activities, investigators,Initiations, enrollments, expiration’s, terminations. Cross dimensional hierarchies from Program to Protocol to Site to Subject is commonly desired. Major dimension tables specific to CTMS includes Program, Protocol,Site,Subject, application, Investigator. Other common dimensions include Accounts, Contacts, Activities, Time, Geography,product, etc.